Bendy and The Ink Machine - Comic Dub: "An Angel's Patience"
Bendy and The Ink Machine - Comic Dub: "Eyes On The Prize"
Bendy and The Ink Machine - Comic Dub: "Bendy and Alice - Bring Back a Little Devil"
Hello there, this is a casting call for a 3-D animated series called "Tray and Hazel", a series about two adult stallions that don't have their cutie marks yet and end up going on a grand adventure facing against a grand mystery and various trials as they continue on. Casting call ends March 31st, 2018. Description: Tray is a light grey pegasus with muted blue hair and dark blue streak in mane. He does like to try new things, but is overall afraid of others’ opinions of him, so he avoids doing things outside the norm. Can be blunt when necessary, otherwise he goes with the flow because of a small need to be liked. Is self conscious about his “blank flanking”. SECTION 1: (smug/ teasing) Enjoy your trip, Hazel? SECTION 2: (frantic whispery tone) CD, CD Wake Up! I need your help! SECTION 3: (contemplative, sad) So here we are again, huh? SECTION 4: (hurt, angry) I’m so sick of this! Of you! Just leave me alone! SECTION 1: (frantic) Tray, you have to listen to me! Please calm down! SECTION 2: (non-chalant) We just sort of do what we’ve always done. SECTION 3: (annoyed) I would have, Tray, if i didn’t have to go all the way across town. (angry, yelling) Yeah, well, I don’t need you anyways! Description: A haughty pink pony with blonde hair and signs of dyed black near the ends. She is a bit manipulative, understanding what she wants and using what she can to get what she does want. Can also be a bit of an airhead, since she doesn’t know that others do not like her as much as she believes they do. She is currently dating Tray. SECTION 1: (annoyed) Traaaay, we were supposed to leave for Neighland Hills a half hour ago! (sassy) Well, I wouldn’t need my own chair if you just updated the interior furnishings for all your guests. SECTION 2: (muttering under her breath) It looks like this place hasn’t even been dusted since the War. SECTION 3: (sing-song) Tray, I’m so excited we’ll be spending the whole weekend together, just the two of us! Description: The older sister of Tray. A pale grey unicorn with bright blue hair. Confident, self-assured, and bright. Can be prone to sarcasm, especially when talking to Hazel. She owns her own cafe, the Skybird Bistro. 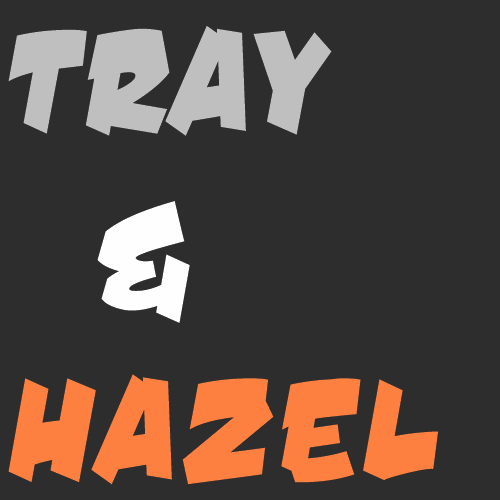 SECTION 1: (sarcastic) oh yeah, Hazel. I can totally give you wings. SECTION 2: (excited) Come on, let’s go grab some ice cream to celebrate! SECTION 3: (consoling) You know I didn’t mean it like that, Tray. I know he’s your friend. SECTION 4: (aggressive, hurt) Why do you want to keep this place open anyhow? Singing: please send a sample of you singing “Pinkie’s Lament” as a sample for singing. Description: A griffon, very strong and foreboding in temperament. Speaks with a dignified air. Is guarded and cautious, and not forthcoming about his origins. SECTION 1: Sir, the patrols haven’t found anything. SECTION 2: (shocked) I… I need to warn them, there could be hundreds out there. SECTION 3: (angry) You will listen to me. SECTION 4: (bitter) He was the one that held me back. I could’ve saved them. Voice Needed: Motherly voice, medium range. SECTION 1: (younger-sounding Goldie-- either in tonality or in cheeriness-- excited and determined) You just wait, sugar. I’m going to be the next big reporter right up there with Caramel Shutter! SECTION 2: (consoling) It’s ok sweetheart, I know you didn’t mean to. SECTION 3: (happy) Congrats CD! I’m so happy to see you living your dream. SECTION 4: (tired) Your momma has to head to the Capital to get a headstart on the next story. Apparently there’s been some aggressive military placements from the Griffon kingdom, and I have to be there to get a statement from the Council before my boss kills me. Description: A strong but silent character for most of the series, He carries himself with a contented happiness, having started work on his dreams of becoming a protector of the nearby forest and campgrounds. An earth pony with a pinto-body pattern and dark brown hair. A cutie mark of a small Aspen sapling. He is reserved, and that carries through to his lines. All emotions with him are more subtle than normal. SECTION 1: (no stutter, conversational) The very first time i met CD was at camp. SECTION 2: (casual) Hey there T-tray. Hazel over there t-too? SECTION 3: (softer, consoling, almost sad) I wanted to make you part of my life somehow. SECTION 4: (happy) This was all for you, you know.